U.S. President Donald Trump often issues statements via Twitter to distract the public from his administration’s failings. With news that the FBI Russia probe has convinced former deputy campaign manager Richard Gates to testify against former Trump campaign manager Paul Manafort, Trump has decided to attack beloved talk show host Oprah Winfrey for pure distraction’s sake. But Winfrey’s social media supporters are clapping back about the Trump Oprah Winfrey tweet. 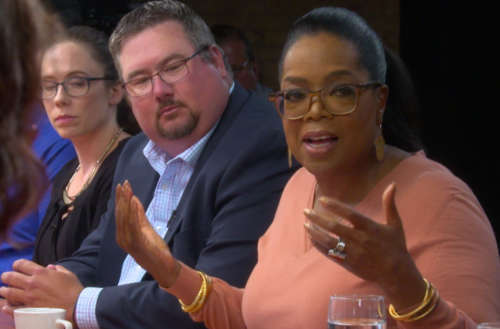 On last night’s episode of the investigative news program 60 Minutes, Winfrey hosted a group interview with 14 Michigan voters — half had voted for Trump and half hadn’t — and she asked questions about hot-button issues like Trump’s calling Haiti a shithole, his tax bill and the #MeToo movement. 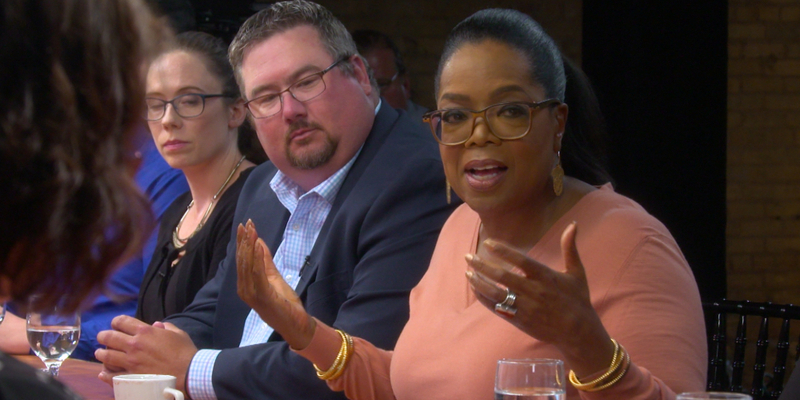 Winfrey also said many “wealthy men” were prepared to back her if she had run for president. But Trump’s decision to slam Winfrey on social media isn’t being taken lightly by Twitter users who mocked him for his needless comment. The Oprah tweet is like Donald Trump‘s racism had a tug-of-war with Donald Trump‘s stupidity and both sides lost. Why would he attack arguably the country’s most popular entertainer? Especially just days after one of our worst school shootings ever. “Oprah is insecure” said a man who gets defensive whenever someone mentions the size of his inauguration crowd or hands, and is still talking about an election that happened over a year ago. A January 2017 Rasmussen political poll found “Winfrey has the support of 76% of Democrats, 22% of Republicans and 44% of voters not affiliated with either major political party,” and “55% of all voters view Winfrey favorably” whereas 52% view Trump favorably. What do you think of the Trump Oprah Winfrey tweet? Sound off in the comments.